✅ Trip Verified | Large, sprawling and very customer unfriendly. Like most thongs in Dubai, they have worked on biggest is best, and not an ounce of quality or class is featured in what they produce. Shops focus on sweets, tobacco and alcohol and are seething and unpleasant. F&B choices are fairly low standard, presumably because it is the budget / low cost travel market that Emirates targets. Miles and miles of walking, queues can be appalling and majority of staff are just rude. If you want a pleasant mid-east transfer, opt for Doha Airport which is truly miles better and has a bit of style, or even the smaller new Muscat Airport. I for one won't be back, but like everything else in Dubai, they couldn't care less. ✅ Trip Verified | A very large but equally horrible airport. Staff at the airport are rude and quite unhelpful. The airport signs are misleading and if your transit time is about 2 - 2.5 hours then you'll be forever rushing to make it to your next flight. 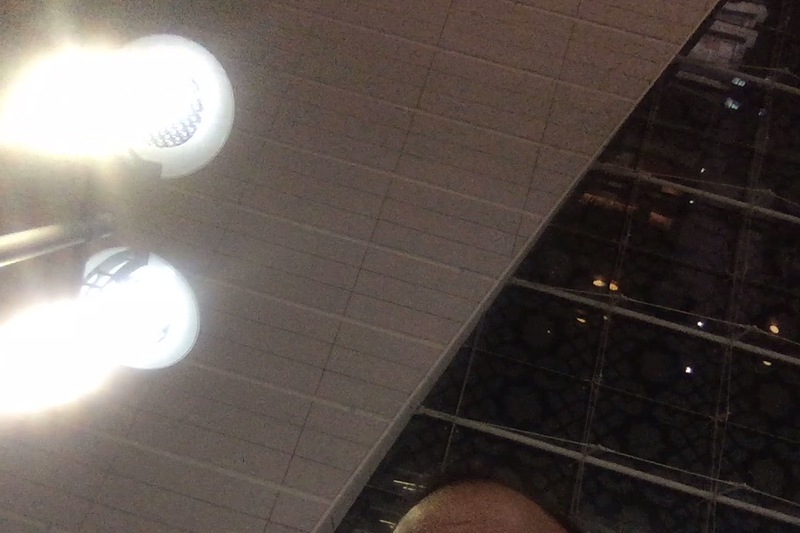 Not Verified | Dubai airport is huge and confusing. Nice and clean. We used Marhaba transfer services both ways and the Marhaba lounge on the return. If we had not done, we would have missed the connection outward as we only had 2 hours. They found us straight away on arrivals/2 minutes after leaving the plane and took us calmly to a different terminal for our connection, even using a golf buggy car as we were slow walkers! We were fast-tracked through all queues. I would also recommend the Marhaba lounge as it is good value and a nice place to sit and relax and eat. Marhaba have 6 lounges and they take you to the one closest to your departure gate. 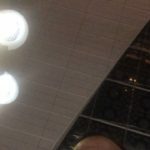 "Dubai Airport is mind blowing"
✅ Trip Verified | Dubai Airport is mind blowing. It is an great experience flying from there however it may be confusing. The terminals are connected by train so you have to follow carefully all the signs. Food at the airport is amazing, it features a big food court like in a mall. Duty free shops sell everything you might want to buy. Seating is available, also there a special zones where you can rest. 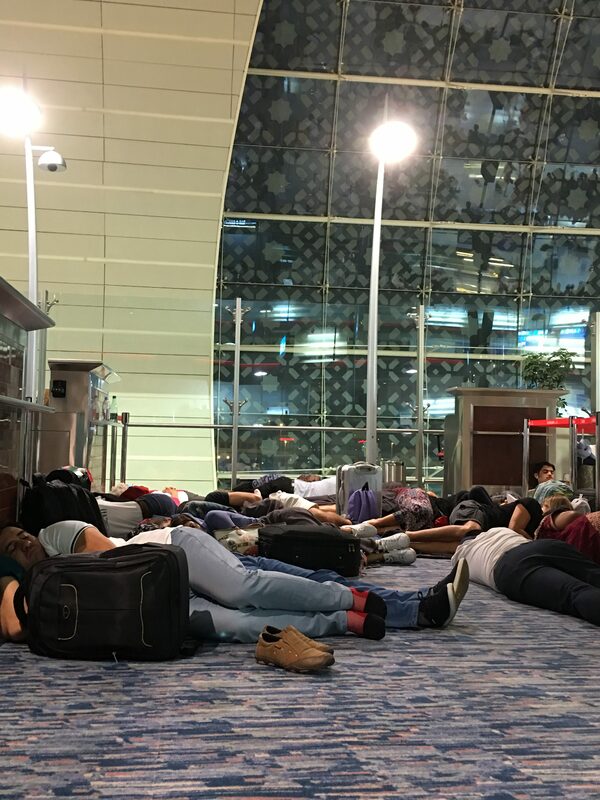 Not Verified | I have recently had the misfortune to use this airport for a trip to Dubai. On arrival at T3 the signage was appalling and it was necessary to take a train to the main terminal. There was a long wait and no indication of when the train would arrive until it was almost there. This was followed by a very long wait for the luggage and yet more poor signage. When travelling home I found the departures lounge to be lacking in food outlets suitable for anything more than a snack. Why can’t Wetherspoons open there?! 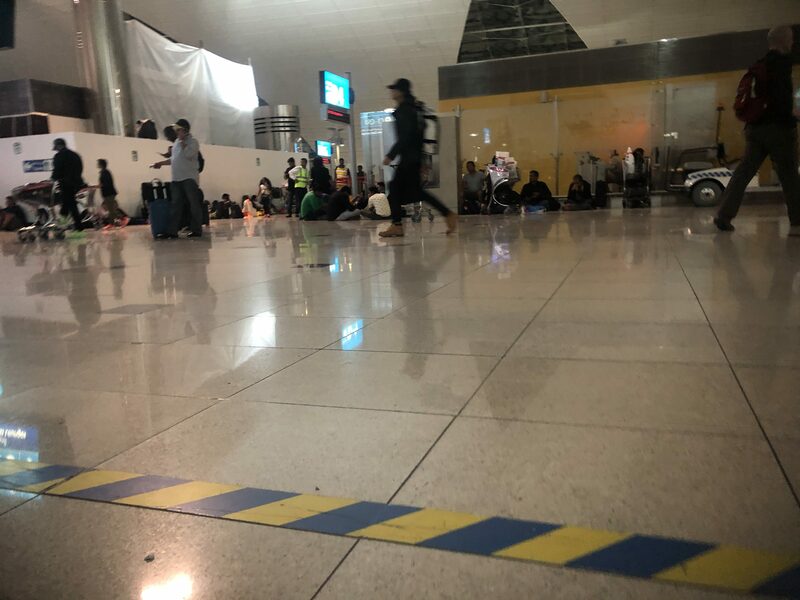 The Emirates plane was an hour and a half late leaving, due, partly to awaiting a connecting flight and then a lengthy wait to get to the runway and take off. Why, with all the space available, are there just 2 runways at such a busy airport and why was only one in use on 3/3/19? Heathrow is far more efficient with just two runways and, unlike Dubai, it has very limited options to increase this. All in all a very futuristic looking airport with a good Metro link but with numerous downsides. Not Verified | I consider this airport to be one of the worst I have ever used. I have travelled for more than 50 years and if all airports were like this one I would have stopped travelling years ago. I have used this airport many times going back 30 years and it has got progressively worse. Staff are unhelpful, security staff are the most ignorant, rude and aggressive people I have ever encountered, these people should realise we pay their wages and act accordingly. "never go with a tight connection time"
✅ Trip Verified | As my first time flying anywhere I found with only a 1 hour layover it was a struggle to get to C19 for my connection. If it wasn't for almost jogging I wouldn't have made it as I found after asking a staff member I had to get a shuttle bus which seemed to take forever. Then there was a long walk to the gate after I got there I sat in the lounge and they were calling us on to the plane 5 minutes later. I would never go again with such a tight connection time. Would rather have at least 2 hours. I had a much better time on the way back from Australia as my arrival was in the same place as my conection ie I didn't need to get a bus, also I found a smoking lounge so was able to relax with a cigarette or 3, people seem very friendly to me I can't really see any problems. ✅ Trip Verified | I arrived in terminal 3 with a connection from T1. What a nightmare, over an hour to get there. It’s not the process that’s a problem, but the appalling signage. 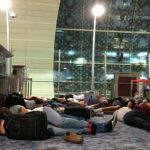 I do on average 30 round trips a year so not a novice, and generally I can navigate airports under my own steam, but Dubai defeated me and I had to ask for help 3 times. No idea how the poor laborers cope. Not Verified | No idea why this airport gets bad reviews. For example people complaint about screwdrivers being confiscated is quite funny and ridiculous. Well run airport with staff waiting at gate for late connections and fast transfer via train shuttle when needed. Great duty free prices too. Anyone who rates this 2 star should try LHR or God forbid CDG. Only downside I encountered was an information lady giving out wrong info re hotel shuttle to Hampton by Hilton Airport. Told there was not one but there 100% is! ✅ Trip Verified | Somewhat underwhelmed. As for duty free, wow, I wouldn't like to see the prices before the duty was taken off!! Supermarkets back home much cheaper. Food and drink an absolute rip off too. No fast food chains in sight, everything geared toward people with money!